A few months ago I shot several workout DVDs that I intended to sell online. Thanks to my partnership with TEA REXX fat burner, I am now able to distribute ALL the workouts for FREE (via my youtube page) instead of selling them! The video below is the first free workout video “ABDOMINAL ASSAULT WORKOUT part 1”. It’s a quick 15 min workout that will help build your abdominal muscles AND burn off any extra body fat you man have. Please let me know if you like this style of workout and if you want me to make more videos like this. IF you are REALLY ready to take your body to the next level, make sure you are on total body workout routine and diet plan!!! (you get both in my FULL workout plan). It may also help to try a good fat burner like TEA REXX, it is what I use to help me stay ripped. Tags: body workout routine, fat burner, TEA REXX, video, workout plan. Bookmark the permalink. What are your thoughts about crossfit? Hello Brandon,any tips/advices for bringing up a lagging chest. It’s been 2 year i’ve been training and my chest isn’t growing. Is it better to do chest twice a week? One day with pushing movements(flat, inc, dec) and the other day with more isolate movement (flat flyes, inc, dec)? Any tips? What do you think about a thin guy ( about 185cm tall, 61kg ) can get in a good shape ’til the end of June? My first goal for the summer is to put on as much muscle mass as i can, as fast as possible. This is my main goal for now, but after I want the body you had last year. I know that’s a lot of hard work and takes month, so at the moment I want back my abs, and more athletic body. So I want to get as close as possible to the body you had. <- this is my goal. One other question (unfortunately, because of the time zones I can’t watch your Live Q&A :/). So, what do you think a thin guy (like me, details: 185cm,61kg) can get a 6pack abs in 4weeks? Thanks for your hard work man! So if I started Monday doing Push, Tuesday doing Pull, and Wednesay doing Legs and Rest on Thursday do I start Push again on Friday? Yo Brandon, what up ? I’ve got some questions for you, please take the time to answer them mate. 1. How can I bring up the inner pec AREA (I know there is no such a thing like inner pec). 2. How can I burn fat without losing muscle mass ? just do it. 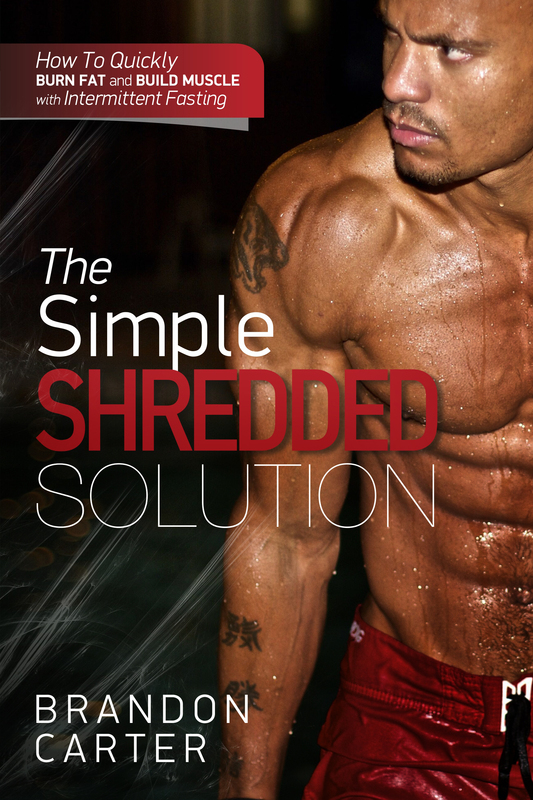 if it was easy, everybody would be ripped. 2) on low-carb days, we get the rest calories from healthy fats? Ey bbc can you make a video with team inkredibles about calisthenics like how to start and how long do we need to master the basics ( push ups , pull ups , dipa,squats) etc… And ty. I have read your e-book… but I’m a vegetarian and I also avoid protein powder because there’s often rennet in it. What’s your nutrition recommendation for us veggies? Hey Brandon my name is Jose and I live in Queens, N.Y. like you. I’ve been watching more of your videos on YouTube lately as you’ve been putting more out. Quality stuff! Yours is sure to be even more of a top channel. Anyway I’m writing to you looking for advice (not really fitness related but life/career related). I’m tired of what I’m doing.I want to do what really interests me—fitness/training/helping others, and making GREAT money while doing so. In the past (2004-2006) I was a Personal trainer but in retrospect I feel I lacked certain skills to make it so that I had a good income doing that. I now see I needed more nutrition knowledge and the ability to “sell” myself. Also I want to learn more internet marketing to sell services and products online (eventually), because we both know that the big bucks are not made while working endless hours in the gym but by reaching a wider audience via, books, products services, etc. What should I do, get recertified? I used to have NASM and ISSA. I know I’ll need them for some level of credibility. I’m also beginning to work out again and using a log but with more details like you mention in your videos. I also have some similar interests to you like the self help books, fitness books and marketing. I’ve also worked out at that park in your intro, next to the Forest park track. I really want to succeed, and I know I have to hang with winners (or at least get advice from them—YOU) who are doing what I want do. What tips could you give me, I don’t like to be a taker without having something to offer (so I gave your Facebook page a like, lol!). So your advice is really appreciated. Also I’m currently writing a mass gain e-book. Hey Big Brandon Carter, I have some questions. What do you think of energy drinks like monster or redbull? Are they really bad as people think or over exaggeration? Secondly, what do you think about the belief of constantly eating healthy and good. There are other that believe the body needs to be balance so sometime good food and sometime bad food. Thanks for reading. I enjoy your work and you are really a motivational person! hey brandon. hope u doing well. ive started watching your videos and bought your high life workout plan. Everything is clear and concise and has been great help. All i need to get is some good quality resistance bands and a pull up bar! Im really confused about calories. Alot of calorie intake information on the net relates to people who are allready active. Im overweight at 27% bodyfat, not been active at all due to leg injury. Whats a good starting point for calorie intake if im looking to really lean up and build some muscle. My BMR is 1700 calories. Kind regards and keep up the good work! respect! I got a problem with eating. I have a sweet tooth and I love to eat sweet things. And I stay late, when I stay late I am getting hungry and I tend to eat whatever I can find around me. In my mind although I said, i will do workout at night but I end up eating staying late without doing anything. I am 35 years old, 5′ 10″ around 180lb working as a programmer. Even if I do exercise, it doesn’t last long, I stop doing or I skip exercise after 1 week or so by giving all kind of excuses. And While I am doing weight training, I think hiit is good for me try HIIT next day then end up doing nothing. I need your precious advice. Thank you so much for your time bro. How many times a week do you recommend doing this? Also, will this be a better fat burner than for exampel, running? I’ve been following u for about half a year now.. xD u got big over that period ! I am from halfway round the world.. but I will be coming in USA this summer in cape cod MA( i am a professional bartender.. ) If you do any fan meetup in NYC i might be able to come ! keep up the good work ! helped me a lot mentally and physically.. (i lost my father too but due to cancer (12 years ago). i will always remember your video where u explain about ur father.. Helped me stay true and motivated.. and no matter how hard it gets, always keep on pushing! Ty BBC ! I am right now 16 years of age and in full time instruction so I discover consuming throughout school a colossal issue. I thought this would be the best place to discover how others like me adapt. I weight 150lbs and am 175cm tall and as per a Body Fat number cruncher I am at 10% muscle to fat quotients. My point in preparing is to beef up whilst staying at a low muscle to fat quotient, which will permit me to advancement in my game, rugby. At present I prepare 2-3 times each week just on weights. No cardio throughout the season, would it be a good idea for me to be doing cardio in season? Right now I just take My Protein Impact a Whey as a supplement. Are there any possible things that I ought to be taking? Much obliged concerning the answers ahead of time, mean a considerable measure. ATTENTION! If you really want to achieve your fitness goals, be sure to follow BBC’s tipps&advices. I have a lot of friends who workouts for about a year now, and I HAVE BETTER RESULTS than them. I’ve worked out for about 6months then I had a really huge break ( 1 year ) and now with only a few workouts I made better results than them in 1 year. This is how important to have the knowledge! <- this is BBC! Once more: Thank you man! How much whey protein shake should I drink a day? Drink difficult amount on workout days and rest days?